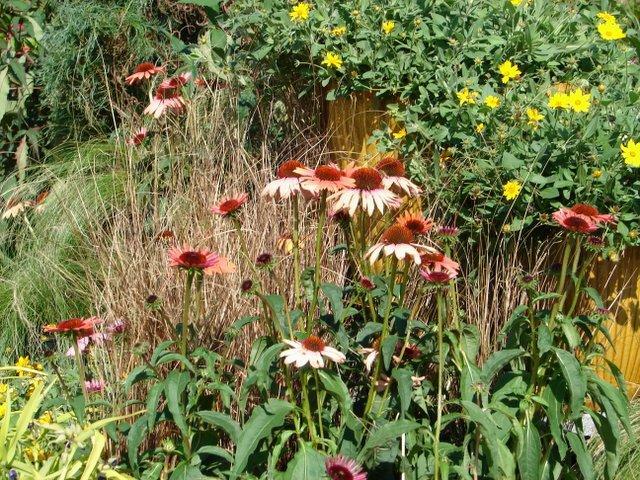 Looking to create the perfect perennial garden next year. Start this year with 50% off all remaining perennials. We have a good selection of shade and sun loving perennials. Why is now a good time? The first reason is you'll save 50% on your perennials purchases. But you must hurry, since the supply is limited and the sale ends on October 31st, 2005. The second reason is simple. The old saying "Fall is for Planting" creates great gardens. Planting in the fall encourages deep root development. The perennial will be more established since it has been developing an extensive root system all winter. There is no undue stress on the plant. As long as the ground isn't frozen, the plant is growing and developing a mature root system.